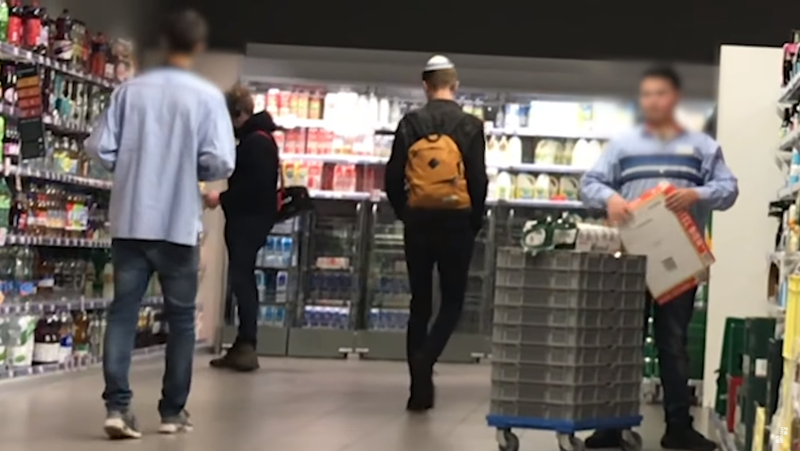 Bloggers published a video on YouTube Friday showing an employee of the Netherlands’ largest supermarket chain laughing as a man wearing a kippah walks by. 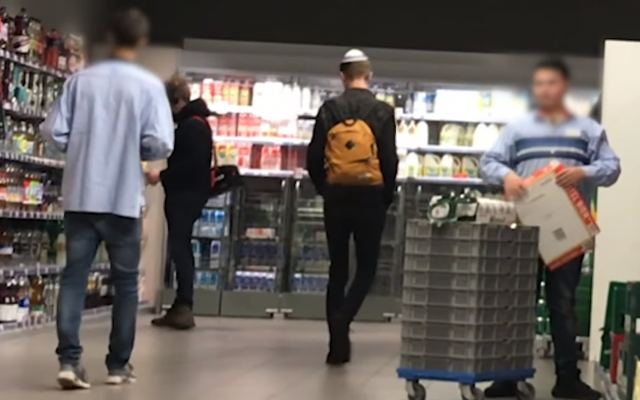 The Albert Heijn chain dismissed the footage Tuesday as a misunderstanding. An Albert Heijn spokesperson wrote on Twitter than “the employees shared an internal joke” before the blogger walked in. “It’s a coincidence that the filmmakers misinterpreted. Very annoying,” the spokesperson added. In a recent survey on antisemitism among 16,395 European Jews in 12 countries, the Netherlands had the highest number of respondents — 11 percent — saying they always avoid wearing a kippah in public due to safety concerns. Less than a third of Dutch respondents said they never avoid wearing a kippah, with 22 percent saying they avoid doing so frequently.